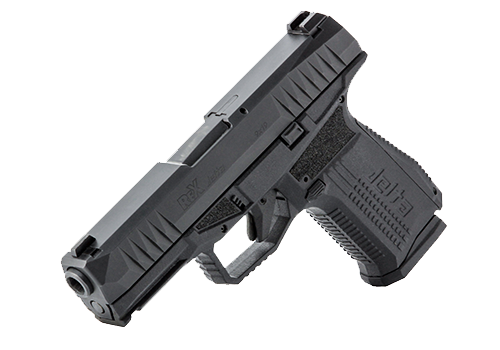 The REX ALPHA is a revolutionary product in the REX handgun family. 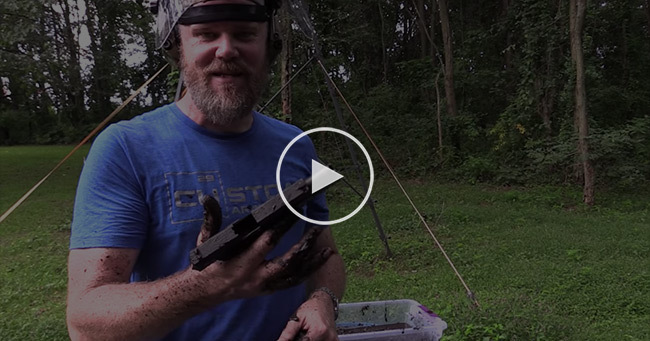 Listening to practical shooters, Arex designed and developed a pistol that excels in competitive practical shooting. 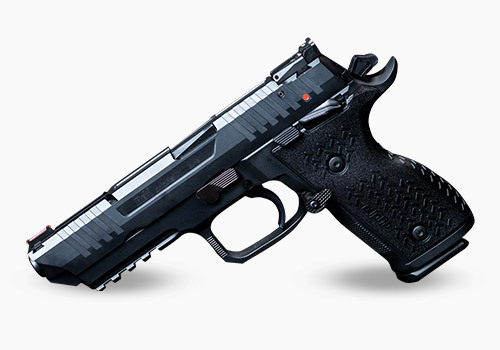 The REX Zero 1 has been re-engineered to produce the REX ALPHA, an optimized competition-ready 9mm steel-frame pistol for competitive shooting. The REX ALPHA features the following improvements such as an undercut trigger, shorter grip, ambidextrous manual safeties, and fiber optic front sights. The REX ALPHA is a competition-ready handgun the moment you take it out of the box. 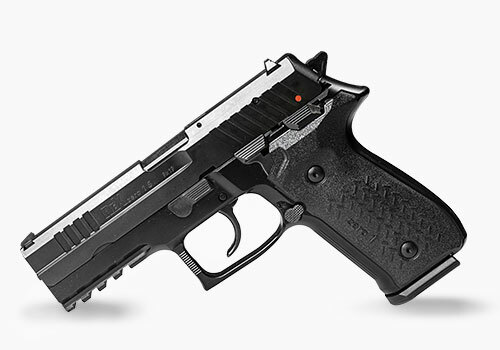 To abide by USPSA standards, the REX ALPHA comes equipped with three 17-round magazines. In addition, it features a trigger mechanism which is factory fine-tuned for each pistol to deliver a smooth double action pull and a short trigger reset. 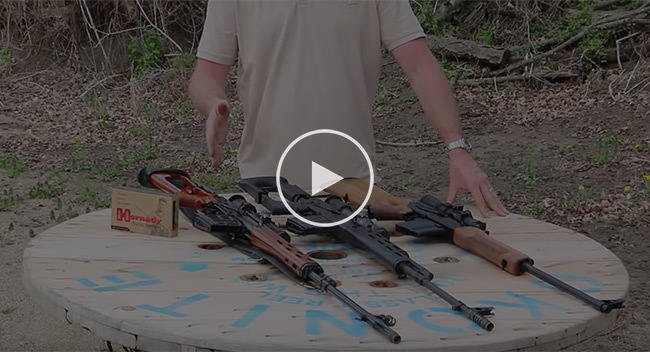 If you are no stranger to the gun community, you should definitely know about Tim and the Military Arms Channel. A few weeks ago Tim had the opportunity to review the REX ALPHA, which is discussed in this video review. If you want more information regarding the REX ALPHA, you must watch this in-depth review. Click here to see the video. The REX Zero 1 Compact (1CP) is ideal for those that want the convenience of a smaller handgun without compromising quality and firepower. Compared to the Standard (1S) the 1CP model is lighter and shorter than the 1S model. The compact frame of the REX Zero 1CP makes it an ideal everyday carry, where ever you choose to take it. For those that want to use the pistol with a holster, FIME Group offers an OEM holster that is compatible with all REX Zero 1 models. Click here to see the OEM holster from FIME. The REX Zero 1CP will also be available very soon as a Tactical model. 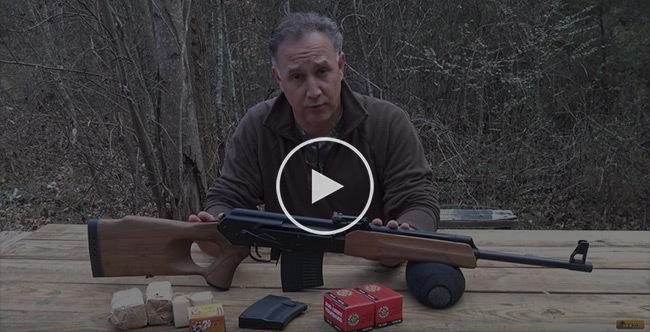 The tactical model is equipped with a 1/2×28 threaded barrel and a 17-round magazine compared to a 15-round magazine in the non-Tactical 1CP models. The Tactical Compact 1TC model is roughly 1 inch longer in length and height but weighs approximately the same. The Tactical Compact 1TC is a solid choice for those that want the versatility of a tactical pistol.